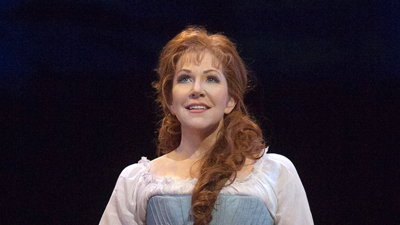 It is a rare opera indeed that calls for one soprano diva and no fewer than six tenors. 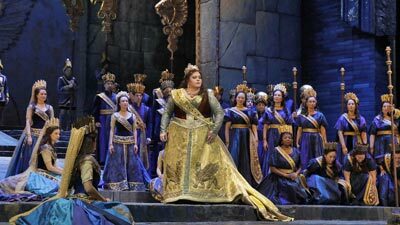 Mary Zimmerman’s fanciful production of Rossini’s drama, designed by Richard Hudson and with choreography by Graciela Daniele, provides the perfect setting for superstar Renée Fleming’s captivating performance of the title role. A beautiful but evil sorceress in the times of the Crusades, Armida sets out to regain the love of the Frankish knight Rinaldo (Lawrence Brownlee) by putting her magical spells on him. She at first succeeds to draw him into her web of sorcery, but ultimately divine intervention—and his fellow soldiers—free Rinaldo from his enchantment—much to the vengeful fury of Armida and her demons.